Details "Tribal Turtle Girls T-Shirt"
With the cheerful and trendy tribal look you bring fresh air into the wardrobe of your kids. 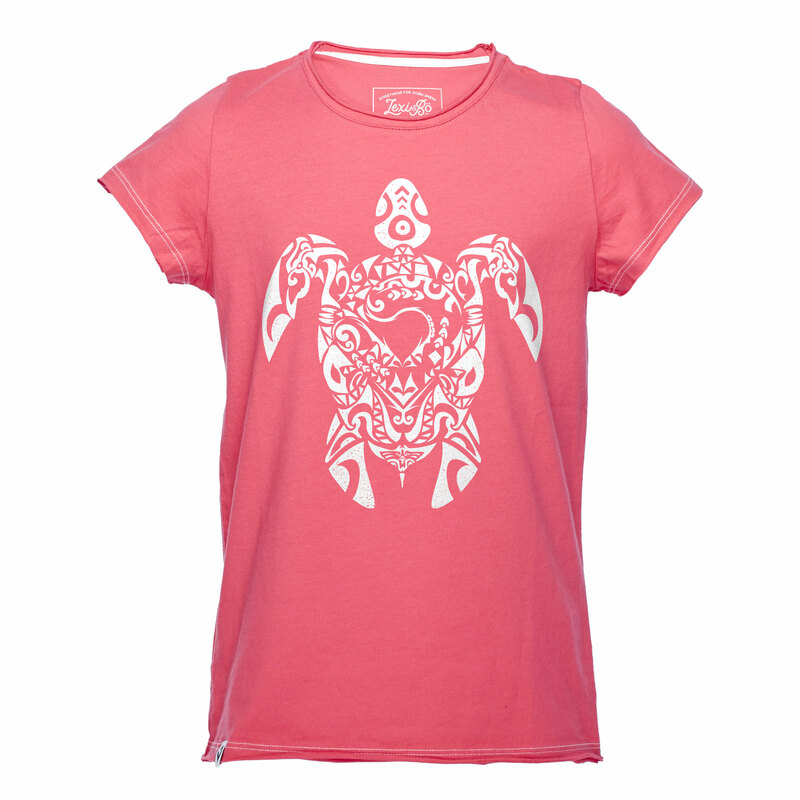 Our Lexi&Bö Tribal Trutle t-shirt for girls with the big white turtle design invites you to dream and complements perfectly with the pink fabric and the white seams on the hem and sleeves. The cut-out fabric at the hem gives the shirt its cool used look. The popular design consists of a water-based environmentally friendly printing ink, which shines even after repeated washing. The comfortable cut with a round neck, short sleeves, loose fit make the cotton shirt the perfect companion for many happy moments, whether playing, lounging or learning. 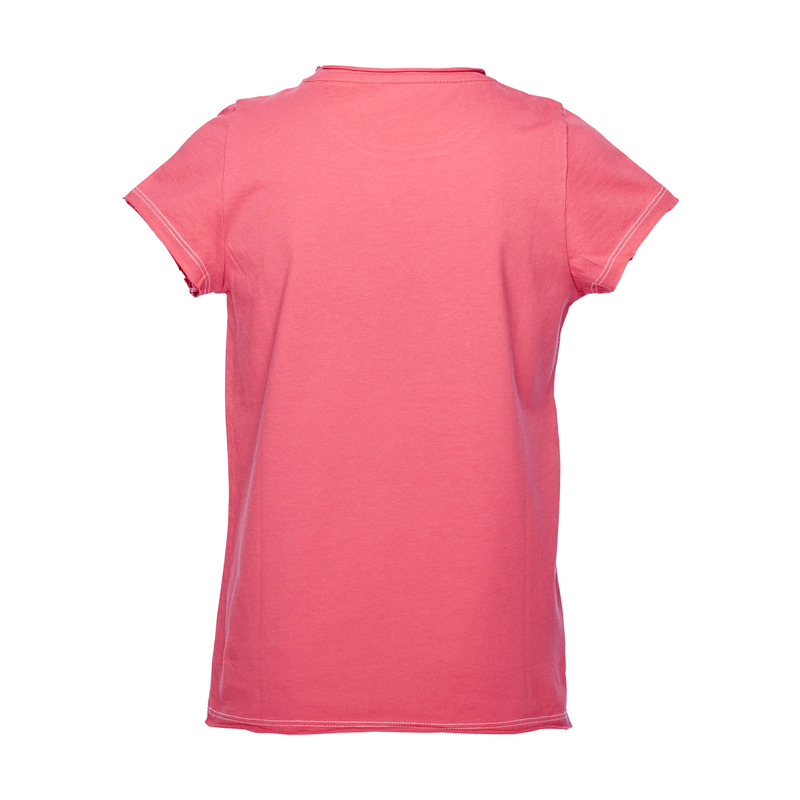 The shirt feels comfortable on the skin and feels light and easy. 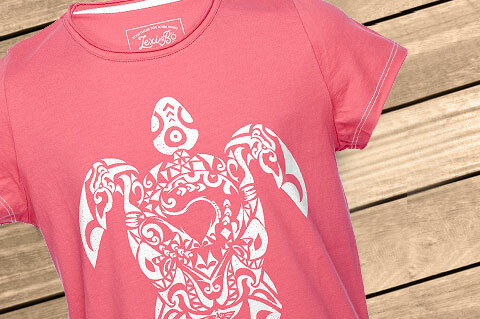 Customer evaluation for "Tribal Turtle Girls T-Shirt"